SanDisk's wireless flash drives offer a solution to a growing problem: the increasing absence of expandable memory options in the latest high-end phones. Users who are about to max out the space on their HTC Ones or Nexus 5s can't just pop in a new microSD card and be on their way. There's the option to offload extra data onto a cloud storage provider, but for people who rather hold their files in between their fingers, SanDisk's wireless flash drives can connect to any Android device, no cables of any kind required. And now the company is offering a 64GB option that's available immediately for $99.99. This wireless flash drive can connect with up to eight devices at once, but it isn't without its drawbacks. The device functions as a WiFi hotspot, so while you won't need internet connectivity to use it, you might have to give it up (though there is the option to use a USB cable if necessary). 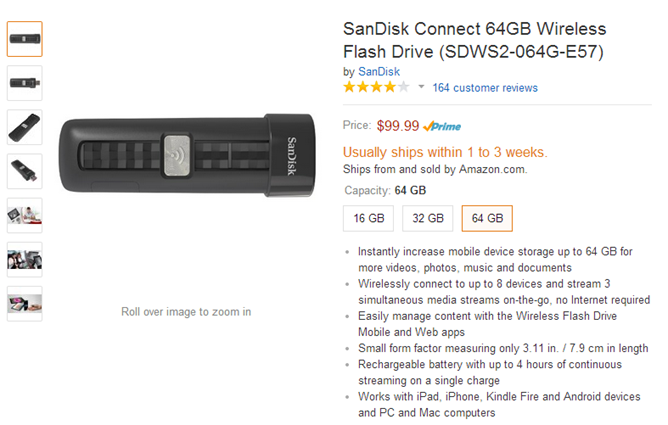 Check out Cody's review of it and the similar SanDisk Media Drive for an in-depth look. 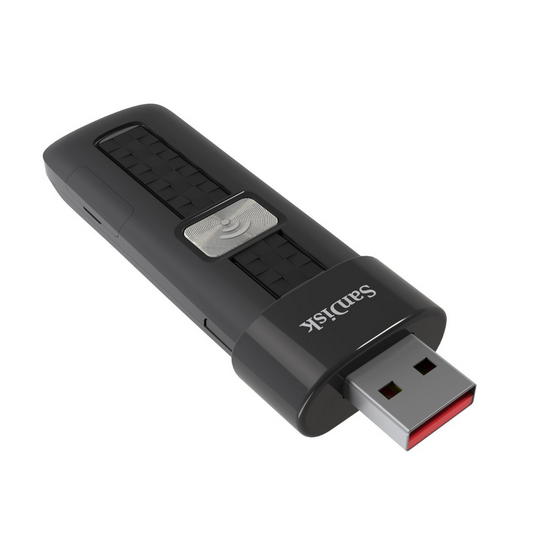 The flash drive can support up to three simultaneous media streams and run for roughly four hours between charges. There's also a companion app in the Play Store that you will need to have everything run smoothly. Links to get it and the flash drive itself are available below.